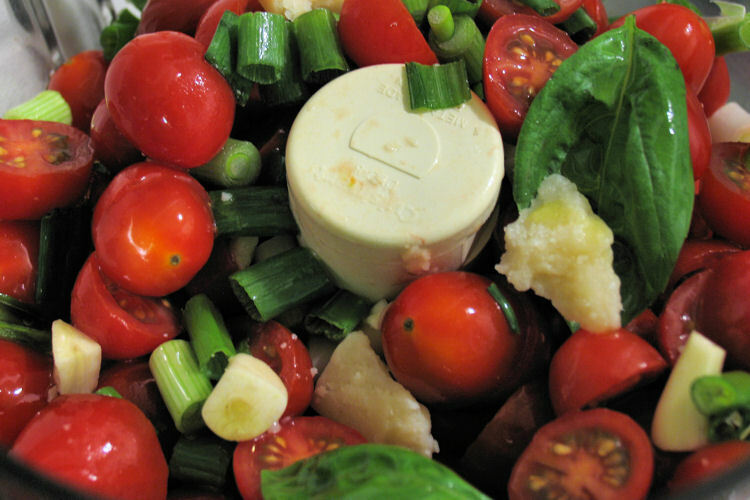 In a food processor work bowl fitted with the chopping blade, combine the scallions, garlic, tomatoes, Parmesan, basil, olive oil, salt, and pepper. Pulse just until the tomatoes are coarsely chopped, but do not puree. Stir in the fresh mozzarella cubes and season with additional salt and pepper. Serve immediately over hot pasta. This is just beautiful and delicious!!! 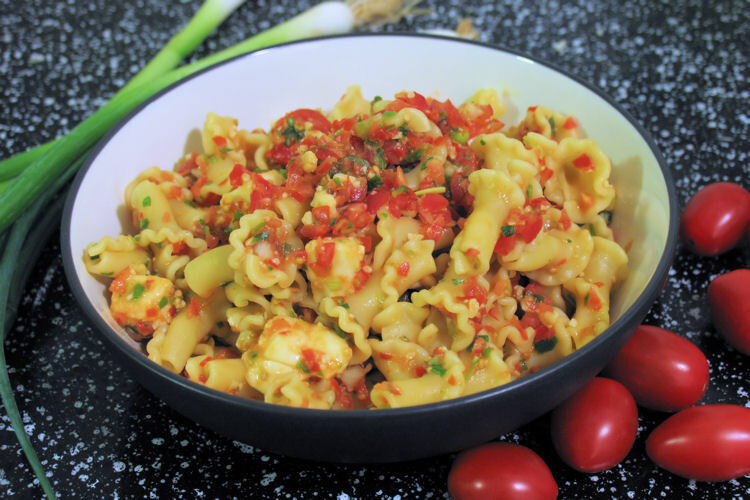 Pasta alla Checca is my Italian husband’s favorite summer dish!! Ooooh, this looks delicious! Thanks for sharing, Stefanie!